Thank you to Mini Babybel® for sponsoring today’s post. 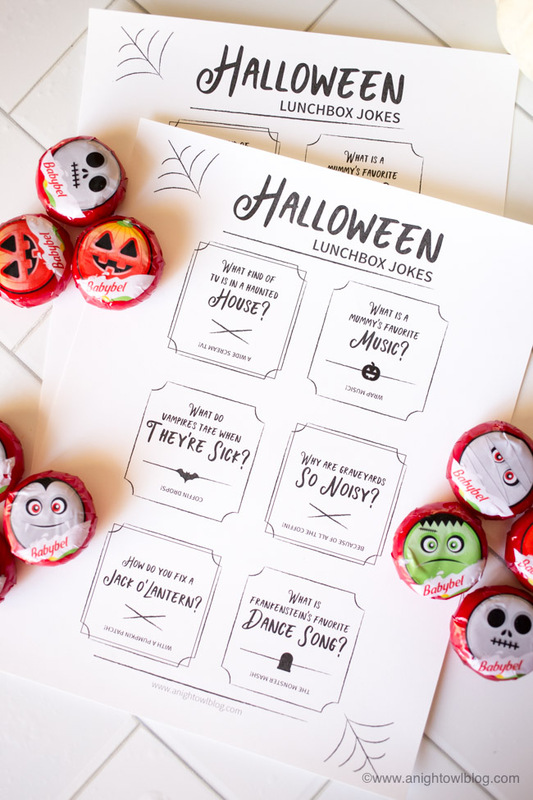 Download and print these Halloween Lunch Box Jokes to go with fun, Halloween Mini Babybel® Cheeses! Hi friends! 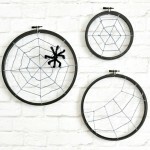 October is here – are you counting down to Halloween? I always look forward to this time of year. My kids love costumes and decorating the house. And of course, this momma is happy to oblige. 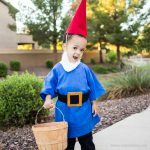 At this point, our kids have settled on costumes for this year (and we even got them to agree to a theme!) and we’ve added some fun decor to the front porch. 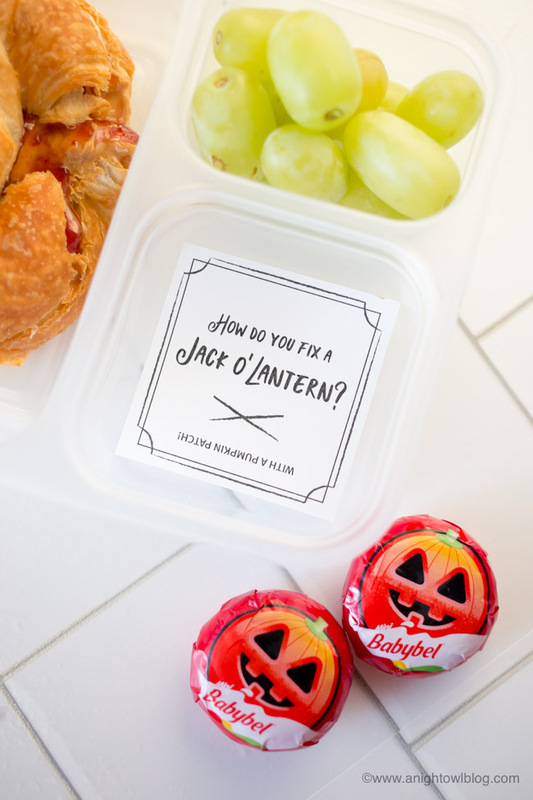 I have a few other plans up my sleeve and one includes adding a little fun to their school lunches and snacks with these “cheesy” Halloween Lunch Box Jokes! 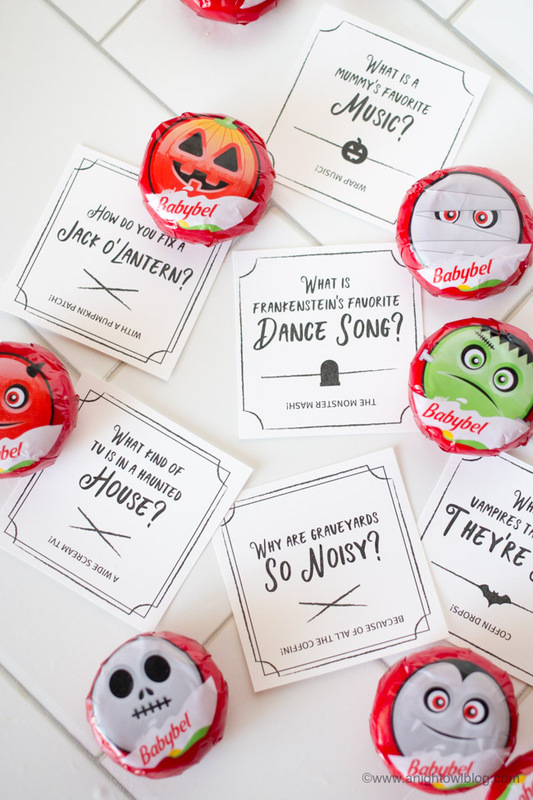 Now we have “cheesy” in quotes because we came up with these jokes based on the most adorable Halloween themed Mini Babybel® Cheeses! Aren’t they SO fun?! I just about squealed about how fun they were. 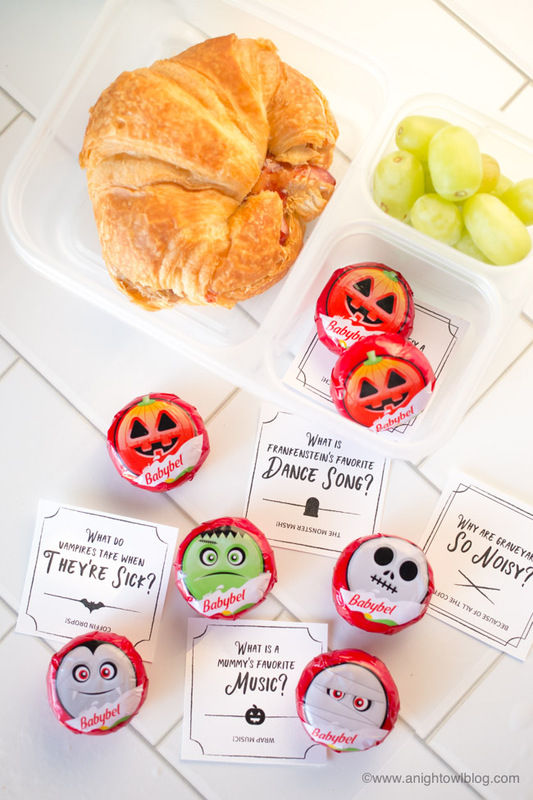 We love adding Mini Babybel® Cheese to lunch boxes, so I knew we just had to come up with some fun Halloween Lunch Box Jokes to coordinate with these scary-cute snacks. How do you fix a Jack O’ Lantern? With a Pumpkin Patch! Oh yes, we had fun with these lunch box notes. 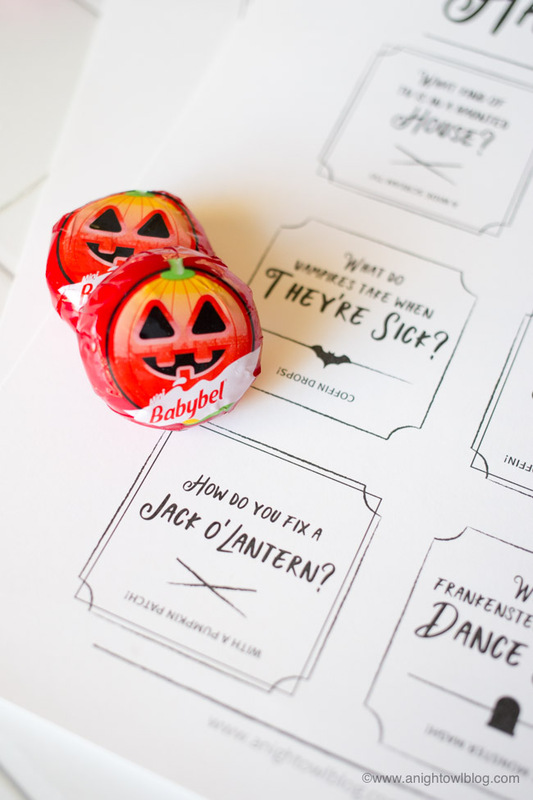 Then top with adorable Halloween Mini Babybel® Cheeses! 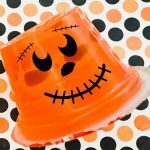 And there you have a Halloween Lunch Box Idea that is easy and fun! Just a little something that will brighten your child’s day – right? And not anything that will break the bank OR will make you spend hours toiling over. My kind of project! 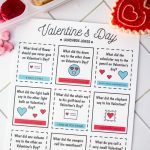 Or maybe you’re looking for a non-candy treat for your class or kids? 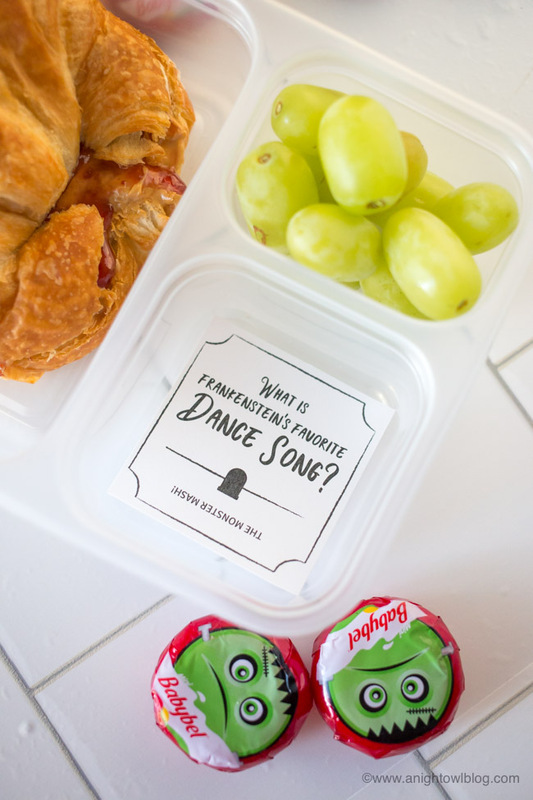 These jokes coordinate perfectly for a fun and delicious snack that you can feel good about sharing. 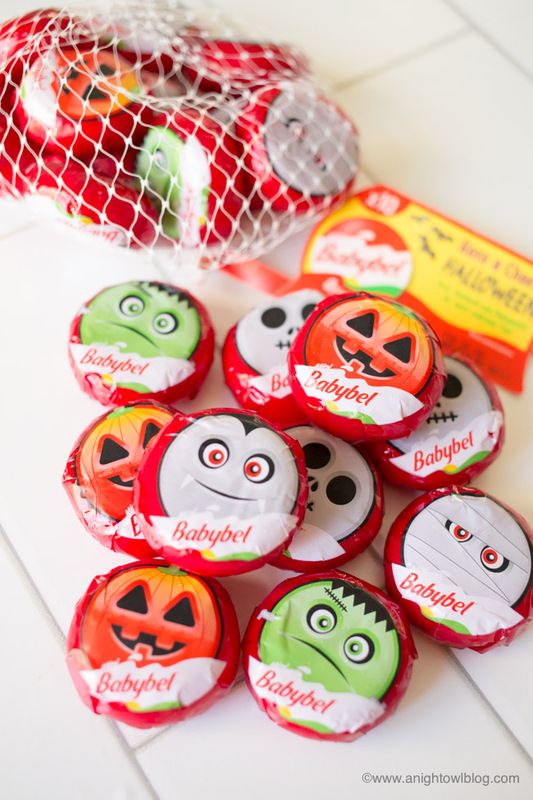 So get down to the store TODAY and pick up these adorable Halloween Mini Babybel® Cheeses before they disappear!